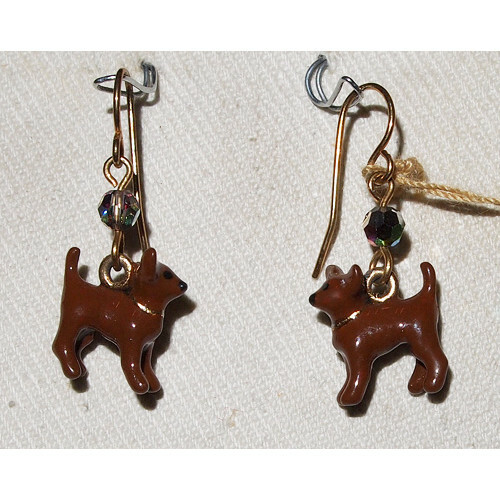 Order handpainted Chihuahua Earrings from Unicorn Design, made of pewter with surgical steel earwire. Earrings with handpainted pewter satin finish charms in the shape of Chihuahua Short-Haired 3-D standing dogs, painted brown. Above each charm is a Swarovski crystal bicone bead in the color Vitrail Medium. These earrings are for pierced ears and they have French hooks in gold plated surgical steel earwire.